Nokia's bold move in the 'unlimited music' space with its Comes with Music package looks like it's stumbling at the first hurdle as figures released suggest it has only sold 23,000 subscriptions in the UK. According to Music Ally, a digital music strategy company, the firm only managed to shift the small number of handsets sporting the service thanks to recently (and seemingly successful) release of the 5800 XpressMusic came without Comes with Music. 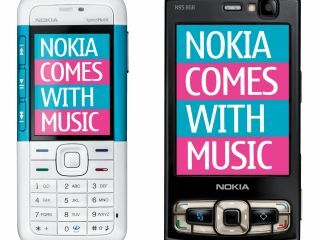 The stable of the N95 8GB and the 5310 handsets haven't exactly set the world on fire as bastions of the service in the UK, and Music Ally is quoting data it has seen stating that the UK isn't performing as well as Nokia might have liked. What would be a decent bit of information is why Nokia has decided not to release a CwM-branded 5800 over in the UK as yet, when the likes of Italy and Singapore (which are reporting a much better take up of the service) have got a branded version. Other stats revealed by Music Ally state that CwM users are downloading 200-300 tracks in the first few weeks, will download 20 times more back catalogue than a Nokia Music Store user and download from seven genres compared to three for most others. Although you feel the need to stick the sentence 'Because it's FREE!' at the end of all that, it still gives some valuable insight into what music people will download when it's all legal. Given the success of the service in other countries, it's far too soon to label CwM as a failure, but it seems hard to see in this early phase where Nokia is managing to make any moolah... perhaps that's something set for 'some time in the future'.